SubScribe: Wot were they thinking? There are few things more irritating for a sub than to have a reporter look over your shoulder while you're working on a headline. One of them is to have a reporter come up after you've written it and quibble about the content. Even worse is when they're right and you've got it wrong. Most headlines are thought about, tweaked and then revised (often rewritten from scratch) by someone further up the food chain. The splash is different. On most papers it tends to be a collaborative effort from the backbench, and on the red tops, of course, it is generally the heading that determines the layout rather than the other way about. So who sits in judgment on the biggest cheeses who write these heads? 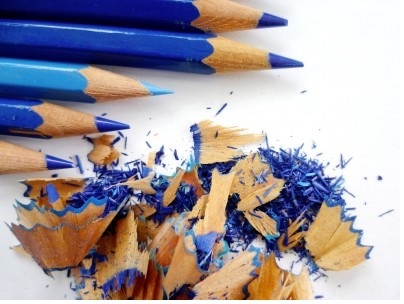 If the editor, deputy or night editor has a fixed idea, they are unlikely to be dissuaded - although the less arrogant might seek a second opinion on questions of taste or slang. In those instances, the guiding rule is .."If you have to ask 'is this all right', you know it isn't." It was tasteless and wrong, he said. Asked by counsel to the inquiry if it was true that he had, as reported, given Kelvin MacKenzie "a hell of a bollocking" over it, Murdoch said he hadn't thought so, but that he'd checked with his son James who told him that, indeed, he had. (Odd that he should check with James on this matter, since in 1992 James was even less of an expert on News International papers than he is today). Even more important than Mr Murdoch's opinions, however, are those of the readers - and when they start complaining by the score - and not to you, but to the Press Complaints Commission - you can be pretty sure you've got it wrong. And once again it's the W that has got The Sun into trouble. Goodness knows what whoever was behind this front page and the inside spread was thinking. Indeed, were they thinking at all? Did they think it was smart to make five lame oblique references to the way the new England football manager (why are some managers and others coaches?) pronounces the letter R? Or witty? Or affectionate? Didn't anyone have the guts to point out that it was plain offensive? Or was everyone on the backbench rolling around preening theselves as they came up with other R words to contort? Proud Roy Hodgson promised to win over doubting football stars and fans after he was confirmed as England's new boss yesterday. The 64-year-old, a shock choice, immediately urged the nation to get behind the team. Hodgson, affectionately known as Woy due to his speech impediment, insisted England can win Euro 2012 after our campaign kicks off against France in the Ukraine next month. Did the original copy have that reference to Woy in the third par, or was it written in by the subs to justify the headline nonsense? There's a whole spread inside with completely straight copy - The Sun knows its readers take the game seriously - and a personal sidebar by West Brom fan Adrian Chiles, with no Woys in the text. The four sports pages devoted to the new manager are also a Woy-free zone. Yet the inside news spread head is Woy beats Redknapp to land England job and then we have three quotes Woy on fans, Woy on team, Woy on Euros. Woy, Woy, Woy. Why, why, why? 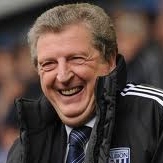 What is the justification for the claim that the polymath Hodgson is affectionately known as Woy? That a group of Fulham fans once put up a banner saying "In Woy we twust?" 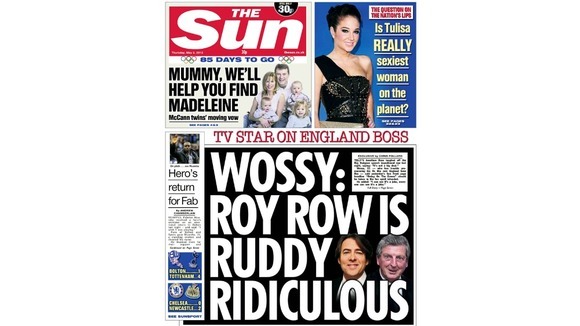 Maybe The Sun team thought it was OK because it knows it can get away with taking the mickey out of Jonathan Ross. But Ross is a quite different sort of person, from a different generation, with a different reputation, working in a different sphere - and, most importantly, he embraces the nickname and is happy to tweet as @wossy. Then, of course, there was that other Woy - the original, in fact. Roy Jenkins also suffered from rhotacism and didn't seem to suffer too much from gentle teasing. Charles Moore wrote a column in the Telegraph a decade ago with Woys spattered through it and which appeared under the heading It was Woy wot won it - maybe blazing a trail for The Sun to follow if the football team triumphs in the summer. But in this instance, The Sun is guilty of a terrible misjudgment. Whatever the excuses, the enduring impression will be of a newspaper that backed the wrong horse (the letters page carried contributions from six readers, every one of whom wished that Harry Redknapp had got the job) and immediately reverted to the infantilism that turned Graham Taylor into a turnip. 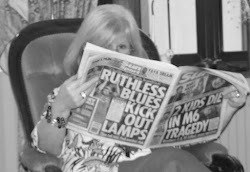 It was ill-judged on every level - especially on the very day that every serious newspaper was splashing on its proprietor being declared unfit to run a business empire as a result of its now-defunct sister paper's disgraceful activities. It shouldn't need saying that newspapers should never make fun of anyone's disabilities, but they should also beware of playing around with people's names - in headings or in text. Sport is a different world and the name-based puns are marginally more acceptable there, but in news it is just plain wrong. I have fond memories from my junior days of a fellow reporter who was looking for a new slant on yet another wedding report. The bride was Miss Nichols, the groom Mr Nicholls. Would it be too bad, my friend asked, to suggest that the bride had got married for the 'l' of it? It was a great joke for the newsroom - and that, thank goodness, is where it stayed. Well, a silent retreat would have been the best response to the anger provoked by yesterday's front page, but - well that wouldn't be The Sun would it? So ignoring all the real news and real issues on what is, remember, an election day, the paper chooses to splash on itself. We were just having a laugh and here's Jonathan Ross to defend us. Except that he doesn't, actually. He says life's too short to worry about being teased, that it was obviously a joke and that we all know what The Sun is like. Well, saying you know what someone or something is like isn't the same as endorsing them. It means "What do you expect?" I know what the Ukrainian president is like, but I'd never defend him. The paper has got it massively wrong again...and it knows it, otherwise that splash heading would have said Woy wow is wuddy widiculous. 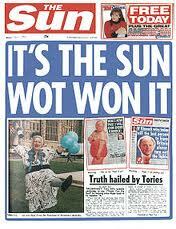 The Sun wasn't alone in the dodgy headline stakes today. Our old friend Samantha Brick proved again that her journalistic instincts are skin deep as she returned to the subject that has brought her infamy and fortune - outward appearances. Today she has jumped belatedly on to the AA Gill bandwagon, defending the Sunday Times critic whose little aside on Mary Beard's hair and teeth caused such a stir. Odd, really, since it was the Mail that gave Professor Beard a platform to answer back. The Brick feature is the usual tripe, so I won't reproduce it. Suffice to say, she is an expert television executive and the BBC should have given Professor Beard a makeover or at the very least a few style tips before letting her loose in front of the camera to present her compelling series about the Romans. What interests me in this case is not the article, but the presentation. The Mail website's style is to have long-winded headings, presumably for Google search purposes. The space is generally used to impart detailed information about the story or the main character. In this instance, two of the three lines are devoted to the author of the article, while Mary Beard's name isn't even mentioned. How disdainful can you get? Ms Brick must really need the money. She cannot possibly be so desperate to be noticed that she's willing to sacrifice all dignity and credibility by playing the same old tune again and again on slightly different instruments. The Mail, meanwhile, is laughing not only all the way to the bank; it is laughing openly in Brick's face. Most of us have to sign contracts with our employers promising to adhere to a professional code that includes not bringing our newspaper into disrepute. Perhaps someone should suggest to Ms Brick that she needs to strike a deal requiring reciprocation from the Mail. Somehow this episode feels akin to the prostitute getting run in by the rozzers (or wozzers?) while the punter takes his pleasure, hands over his fiver and goes on his happy way scot free. Thank you for sticking with it to the end. Please do share your thoughts below. And please take a look at the other posts. They are all media related. Sold down the river the Beeb's flotilla and fireworks fiasco - and a feeble fightback. Why didn't the top man have his hand on the tiller? Riding for a fall Does buying a ticket for a jolly day out at the races mean you are fair game for the snobs who sneer and snipe? The Press and immigration: reporting the news or fanning the flames of hatred? Kelvin MacKenzie the fall guy?